Adjusting to college academia may be hard, but being prepared can help you tremendously. 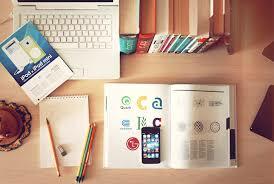 Read more to find out five study tips while in college. 1. Create a schedule so you can manage your time wisely. 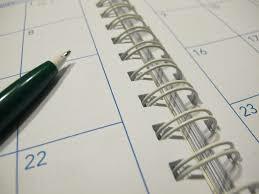 Plan out your week or month by indicating when you plan to study for a class. This will allow you to keep yourself in check. 2. Find out what study environment works best for you. Do you function better when it’s loud or when it’s super quiet, or maybe a little bit of both? Try out different study spots until you find one that fits. Check out the many libraries on campus, go to the Union, or maybe even your dorm if it works. 3. Don’t try to study for long periods of time, you’ll fry your brain. Instead, you should study in short chunks. This way you can retain the information you’re studying. 4. Consider study groups. Gather a few classmates and form a study group. You’re all in the same class together so why not learn from one another? 5. If you’re stuck on something, don’t be afraid to utilize office hours. Your professors are there for a reason. If you become a familiar face, they might even round up your grade. 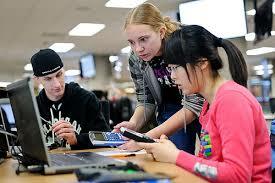 Consider these study tips and advice your freshmen year of college. They might even help form better study habits for the years to come.